In early November 2018 the Central Statistics Bureau (BPS) announced that Indonesia’s gross domestic product (GDP) growth reached 5.17 percent year-on-year (y/y) in the third quarter of 2018. Although it means a slowdown from the 5.27 percent (y/y) growth pace in the preceding quarter, the Q3-2018 GDP growth rate actually slightly exceeded our expectations. After all, as we have noted before, the Q2-2018 GDP growth rate should be regarded an anomaly that was caused by sharply rising central government spending through the village funds (which is not a structural factor and therefore we assumed that the strong GDP growth rate in Q2-2018 was not sustainable in the remainder of the year). The 5.17 percent (y/y) growth pace in the third quarter of 2018 was in fact the best Q3 GDP growth figure since 2013, meaning Indonesia’s slow process of accelerating economic growth – which was started in 2015 - is still on track. We therefore decided not to revise our GDP growth outlook for Indonesia in full-year 2018 (which we had set at 5.2 percent y/y). 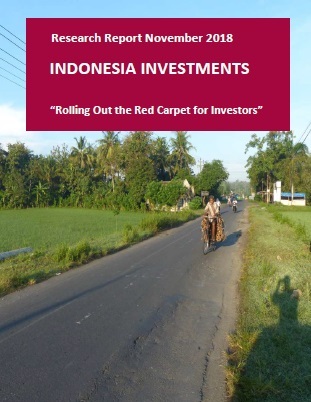 Considering in the past nine years, it occurred seven times that Indonesia’s Q4 growth exceeded Q3 growth, we would surely bet on slightly higher growth in the last quarter of the year (in the range of 5.20 – 5.25 percent y/y), especially because the incumbent government is eager to boost economic growth ahead of the 2019 elections (in a bid to attract more votes). However, it also means that it is basically impossible to achieve the government’s 5.4 percent (y/y) growth target that was set in the 2018 State Budget. Finance Minister Sri Mulyani Indrawati had recently already revised her projection for full-year 2018 economic growth to 5.14 percent (y/y). What do you think will be the growth rate of the Indonesian economy in full-year 2018?